Understanding that all dogs can’t be saved is important. RROC was created in 2006 by people who had volunteered for years with single-breed rescues and recognized the need for a group that could take any of the retriever breeds. With a shoestring budget and a handful of volunteers, the expectation was that RROC would save about thirty dogs a year. That estimate was shattered within a few months and RROC has saved well over 2000 retrievers and continues to welcome over 200 dogs in need annually. 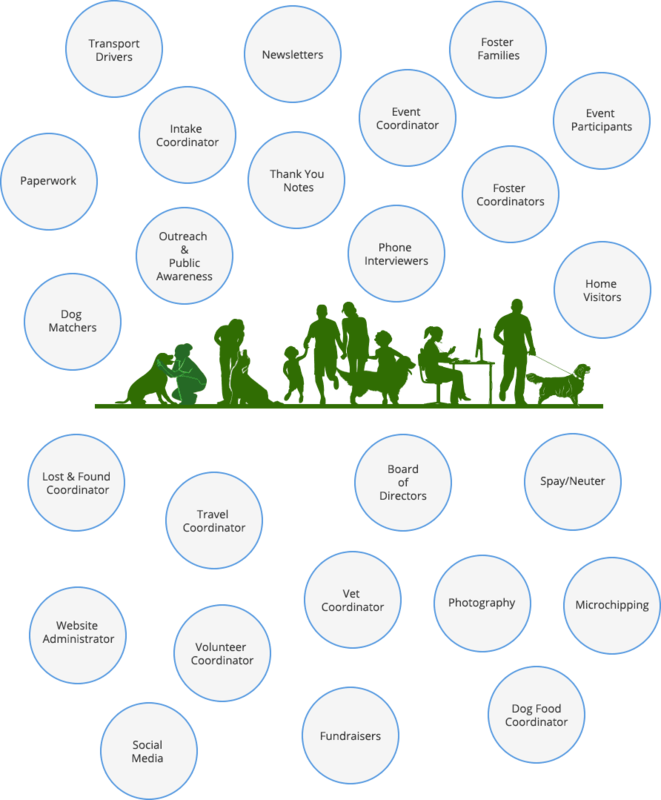 We are a 100% volunteer-based organization. Being part of RROC is truly a labor of love and the rewards – well, all you have to do is look in the eyes of some of our dogs. Through each volunteer’s commitment to rescuing retrievers, we collaborate, we work, we have fun, and sometimes we hope for the best to make it all happen. Some of us participate when we can. Others volunteer their time on a daily basis. Help out when you can, and how you can. No experience required at RROC – just a love and caring for these precious creatures that we call dogs. Over a thousand dogs found their forever homes by the collective work of many volunteers whose dedication and passion comes shining through in the variety of roles and responsibilities. While it may not always be in person, many loving hands touch each and every dog for which we rescue, foster, and find a forever home.